If every developer thinks that adding more features is the only way to improve a piece of software, then I think the story of almost every application made will have more or less the same ending – they will become bloated and slow. We can see examples of this everywhere, from operating systems to browsers to media players. But what an increasing number of people want is exactly the opposite – applications which are minimal, small and fast. In the realm of music players, 1by1 is one which fits that description – a small, fast, and lightweight audio player that only does one thing but does it really good. Compared to other media players which are hundreds of megabytes, 1by1 is really tiny. Its size is only around 150KB and it can be used as a portable app. Therefore it’s small enough to be kept inside your Dropbox folder or USB drive or be installed on every computer you use. 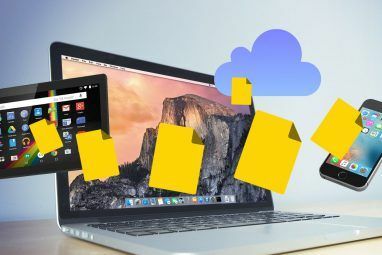 If you want to install it in your Dropbox folder or USB drive to use it as a portable app, choose the folder or drive as the location where you want to put it during the installation process. But please make sure that both the 1by1 application and a file called “mpglib.dll” are located in the same folder. Sometimes, the installation process will put “mpglib.dll” in a different location and thereby render 1by1 unfunctional as a portable app. 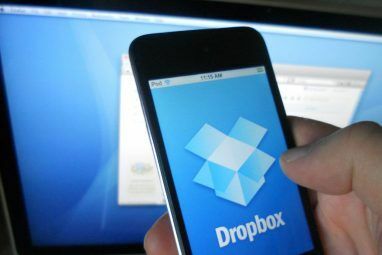 If this happens and you are unable to locate the file, you can just download it from here, and extract it to the same location as the application inside your USB drive or Dropbox folder. The first time you open 1by1, you’ll quickly notice that the app is definitely not the prettiest one in town. It’s a bit difficult to get around the functions, especially if you are using it the for first time. Plus it’s hard to tell what each button does just by looking at the shape. You have to hover your mouse above each button and let 1by1 tell you its function. The default interface is divided into three – the folder browser on the left, the song browser on the right, and the song information at the bottom. Once you get past the first time user confusion, using 1by1 is fairly simple. You navigate to a folder with a music file inside, pick a song, and press play. The app will go through the songs one by one if you do not interfere. Just pick a folder and play, no complicated database required. If you want to play sets of songs in a certain arrangement, arrange them inside folders. If you’re the kind of person who can’t live without smart playlists, then 1by1 is not for you. On the other hand, 1by1 is perfect for those who just want to listen to their collection without any fuss. You can completely minimize the player to get out of your way while working on something else by clicking on the minus button like any other Windows application. You can put it on minimal view by clicking the minimize button (showed in the picture below). Having a fast player means nothing if you have to go back and forth to the application to click on different buttons. You can go around the player faster if you learn some of the basic shortcuts. Hover your mouse above the buttons to view them. Other than the basic audio playing buttons, I think you should know the Options button at the furthest right of the player. You can access many player functions here, including the “Settings” window (F6). There are many customizations inside the Settings window, but you might want to visit the “Audio Enhancer” section first. Here’s where you can enable or disable the audio enhancer and audio equalizer. From the “Control section“, you can set “Global Hotkeys” so you can access the player from anywhere on the computer. You can also set the fonts and background color if you want to. Play around with the settings to customize the player to your liking. Despite the look, I think 1by1 is a great little audio player. It comes without all the bells and whistles of other big players, but that’s the strong point of this app. If you need a good audio player that won’t put stress on your system, you should try 1by1. Don’t forget to tell us what you think of it in the comments below. Don’t forget to check out our articles about other music players such as Clementine Clementine - A Simple Cross Platform Alternative Music Player Clementine - A Simple Cross Platform Alternative Music Player Read More , Instinctiv Instinctiv - An Alternative Music Player For The Mac Instinctiv - An Alternative Music Player For The Mac Read More , Banshee Banshee 2.0 – A Comprehensive Media Player, Streamer & Podcast Tool [Linux] Banshee 2.0 – A Comprehensive Media Player, Streamer & Podcast Tool [Linux] The Banshee media player was first released in early 2005 and has since come on leaps and bounds. Probably the closest thing Linux has to iTunes, Banshee comes with an integrated music store, Internet radio,... Read More , and other players for Windows 5 Best Free Media Players for Windows 5 Best Free Media Players for Windows The best media player for you is the one you most enjoy using. 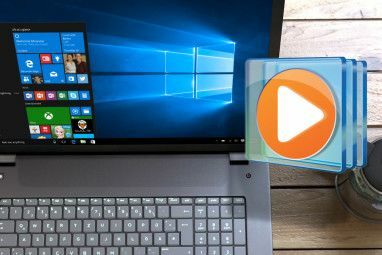 Here are the best free media player apps to consider on Windows. Read More and Linux 5 Great Alternative Linux Music Players 5 Great Alternative Linux Music Players Read More . Explore more about: Dropbox, Media Player, Portable App. I've been using 1by1 for number of years ... and mp3DirectCut for mp3 editing ... two best and lightest apps you'll find around ... happy these finally get noticed.